How can we rebuild public trust in charities? Charity Commission has published a blog post on 'how can we rebuild public trust in charities'. Skills for the Future is a Heritage Lottery Fund programme designed to help not-for-profit organisations in the UK deliver paid training placements to meet skills shortages in the heritage sector and to help diversify the workforce. The new £10 million initiative is open to not-for-profit organisations and partnerships led by not-for-profit organisations in the UK for grants of between £100,000 and £750,000. o Enhance the capacity of the heritage sector to deliver sustainable training and share good practice. 3. Communities will see more people and a wider range of people engaged with heritage. o Maximise opportunities to develop new qualifications or standards where there is a demonstrable need in the heritage sector. No minimum or maximum level of funding is specified. Grants tend to be between £2,000 and £10,000. During the financial year ending 31 December 2015 the Charity allocated £293,000 among 68 organisations. The average award was £4,308. o Proposed timing to complete the work;. o A set of the most recent audited accounts. The next application deadline is Wednesday 31 August 2016. For further information, visit the Inman Charity website. Not-for-profit organisations and partnerships led by not-for-profit organisations, including charities and trusts, community, voluntary and friends-of groups, companies limited by guarantee, community and parish councils, Community Interest Companies and social enterprises have one month left to apply for grants of between £3,000 and £10,000. Organisations that do not have a bank account or constitution already in place, but who want to use a Start-up grant to help them do so, will need to ask an existing not-for-profit organisation to make the application and accept the funding on their behalf. - Make a difference to people, heritage and communities in the UK. - Have not yet started. - Will last no more than one year. - Research into the needs and interests of local people and how they want the heritage to be used. - Research into the use and management of other similar heritage sites to learn how they have been successful. - Training, mentoring and other opportunities for group members to develop relevant skills. - Advice on preparation of a business plan. - Commission a specialist to conduct a condition survey to identify what repair or conservation is needed. - Setting up a new heritage group. - Specialist advice on a suitable constitution. - Research into what activities local people would be interested in taking part in. - Commission advice and support in creating a robust plan for the first year’s activities. - Room hire for the first year’s activities. - Building capacity and skills of a new friends group. - Advice on a suitable constitution and/or partnership agreement. - Advice on business related issues, such as VAT. - Advice on developing a sustainable fundraising strategy. From 28 July 2016, the soon-to-be-announced new Resilient Heritage programme will accept applications for grants of between £3,000 and £10,000 for activities currently supported through Start-up Grants programme. The final deadline for applications to the Start-Up Grants programme is 27 July 2016 (5pm). Make sure your views are heard ! The regulator has invited submission “in writing by not later than Friday 22 July 2016” to be sent either by email or by post. The Fundraising Regulator has today published a discussion paper on its the levy and registration fees, which will see charities pay up to £10,000 a year, with small charities paying proportionately more than large ones. The regulator proposes eight tiers of payments for charities, depending on their size, ranging from £10,000 for charities with an annual fundraising spend of over £20m, to £250 for charities spending between £100,000 and £150,000 a year. The levy being proposed by the regulator will require the smallest charities to pay six times as much as the largest ones, as a proportion of their total expenditure. In a statement released today, the regulator said “stakeholder views are sought on the levy threshold, levy calculation method, proposed levy bandings and its initial period of duration. The new regulator proposes scaled levy payments based on charities level of expenditure on fundraising activity”. Speaking to Civil Society Media last week, Gerald Oppenheim, director of policy at the Fundraising Regulator, discussed the proposals and the coming discussion paper. He said that “around 2,000 charities, perhaps just below” would be taken in by the proposed £100,000 levy threshold. He said the regulator was getting this information from the annual returns and reports made to the Charity Commission for the year ending 31 December 2014. The banded levy would give the Fundraising Regulator an annual budget of “up to £2.5m” from the “1,961” charities that would pay it, as set out in the discussion paper. The discussion paper proposes that the levy will be set for “2 years and 8 months” from its launch date of 1 August 2016 to the 31 March 2019, in order to allow “both charities and the Fundraising Regulator to plan financially with some certainty”. Oppenheim said that there would be scope for some charities, who in the last 12 months had found themselves spending £100,000 on fundraising “due to a large bequest, or some other extraordinary financial windfall” who would normally fall outside the threshold, would be able to discuss exemption from the levy with the regulator. The regulator also proposes that “non-payment [of the levy] may result in the Fundraising Regulator’s decision to publish a list of charities that have not paid” and could “also have the effect of increasing payments that those paying the levy are asked to contribute”. Oppenheim also said the regulator would propose registration payments for smaller charities and “even non-fundraising charities who are keen to be part of best practice” of around £50 a year. He said that fundraising agencies would also be able to register with the regulator and that the proposed registration fee for agencies would be around £250. Registering charities will “be required to agree to a set of agreed terms and conditions about their commitment to the Code of Fundraising Practice”, according to the discussion paper. 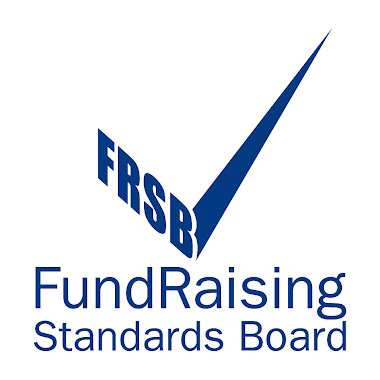 Once registered, charities will “be able to use a Fundraising Regulator ‘badge’ that will say they are registered with the Fundraising Regulator on their websites and in all printed materials”. He said that the regulator would not be able to start processing registrations until “at least September or October 2016” due to the need to upgrade the organisation’s current website to allow such a function. The paper asks for the sector’s “views on the propositions made in the discussion paper”, including whether the £100,000 threshold is the right one for the levy; Whether the proposed “banding” system for the levy is appropriate; and whether or not the proposed “flat rate charges” for membership are correct. The de Brye Charitable Trust was formerly called the Stanley Smith General Charitable Trust. Previous grants have been for between £1,000 and £10,000. Applications may be submitted at any time in writing. The Trustees meet twice a year to consider applications. yllido Rhwydwaith Gwledig Cymru 2016 Hafod a Hendre, Maes Sioe Frenhinol Cymru, Llanelwedd, Llanfair-ym-Muallt ar 28 Mehefin 2016 wedi'i gohirio. Rydym yn bwriadu aildrefnu’r digwyddiad a rhown wybod i chi pan fydd dyddiad arall wedi’i bennu. 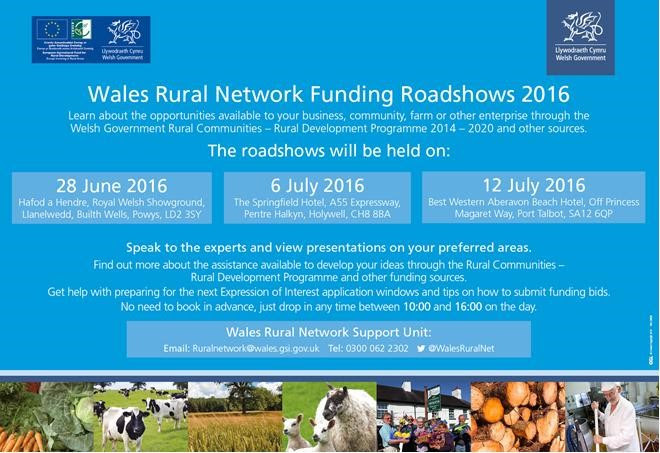 Please accept our apologies but due to circumstances beyond our control the Wales Rural Network Funding Roadshow scheduled for Hafod a Hendre, Royal Welsh Showground, Llanelwedd, Builth Wells on 28th June 2016 has been postponed. We hope to rearrange this event and we will let you know the new date once available. The Michael Crawford Children’s Charity was established by South West born actor Michael Crawford CBE in April 1994 and is registered with the Charity Commission under the registration number 1042211. The charity was established in order to promote any charitable purposes for the benefit of children and young people and in particular the relief of sickness and poverty. Grant applications are invited from individuals and organisations throughout England and Wales. PLEASE NOTE: the Charity does not maintain a website, nor does it provide an email address. Background information is available on the Charity Commission website. Comic Relief are pleased to announce the ‘Core Strength’ funding programme opens to applications today with a deadline of midday on 27/07/2016. Grants of up to £40,000 over 2 years are available to support organisations core running costs and capacity building. · Have a track record of at least 5 years, be community embedded and committed for long-term. · Have demonstrable regional or local significance e.g: providing the only service of its type in an area; providing exceptional quality services to highly disadvantaged people; possessing expertise and experience that would be a real loss to the sector if no longer available. · Be working in the UK in areas of significant disadvantage, deprivation or poverty, including rural isolation. · Have not more than a year’s unrestricted reserves (not including fixed assets). · Meet the usual Comic Relief organisational eligibility criteria (a charity or an organisation with a constitution and asset lock delivering work that is charitable. Not statutory, no individuals). · Current grantees can apply but must have less than 12 months funding left of their current grant. Funding is available for; Core running costs (heat, light, key non frontline staff, rent etc..), Time to work on strategic planning and policy (including business planning; fundraising strategies/income generation/policy/procedure reviews); Scope to improve structures and systems to improve efficiency and quality (including financial controls; human resources; management of volunteers; risk management; monitoring frameworks; impact assessment; accredited quality marks); Improving leadership and governance (including review of board/committee policy and practice; Trustee training; involving users; change management; develop new skills e.g. around social entrepreneurship). NB: This is not an exhaustive list. Funding cannot be used for; Service delivery, General infrastructure support or second tier organisations, Work that is primarily the responsibility of statutory bodies, Shortfalls in delivering a statutory contract or covering gaps in frontline staffing due to funding cuts, Work that primarily benefits one individual such as professional qualifications in accountancy or MBAs, Work that has already taken place, Repayment of debt, Redundancy costs, A general contribution to reserves, Large capital items or refurbishment or Employing consultants unless this is part of a clearly evidenced strategy linked to tangible relevant outcomes. The BOOST Charitable Trust was created in 2005 to champion the disabled and disadvantaged and to inspire them to overcome their challenges through the power of sport (Boost stands for Build On Over-looked Sporting Talent). The Trust aims to give opportunities to those who wish to fulfill their sporting ambitions, at any level. Charities and non-profit making organisations in the UK that have a focus on sport are eligible to apply for a grant of up to £500. However, larger awards are often made by the Trust. During the year ending 30 September the Trust allocated £104,284 in grants. o Southwark City Tennis Club (£10,410). Last year, small grant awards totalled £13,474. o The reason(s) for seeking funding, details of the project and approximate funding requirements. Applications may be received either by email or letter and are considered at regular meetings of the Trustees. For further information, visit the BOOST Charitable Trust’s website. The David Solomons Charitable Trust offers grants to registered charities supporting people with learning difficulties. o Research into learning disabilities. Previous grants have been for up to £8,000 although the vast majority of awards are for £1,000 or less. o Your Pets Warehouse (£1,000). PLEASE NOTE: the Trust does not maintain its own website. Further information is, however, available on the Charity Commission website. Interested applicants may apply at any time in writing. Applications should be received one month before Trustee meetings, which take place in May and November. What can small charities get from legacy fundraising? What can small charities get from legacy fundraising? : To mark Small Charity Week Chris Millward, chief executive of the Institute of Legacy Management, discusses the legacy programmes in small organisations. Smart Energy GB has set up a new five-year fund to support community based organisations that provide information about how to get and use smart meters, especially for those who may face barriers to getting a smart meter. The fund, which has been accepting applications for small grants since the scheme launched last month, is now inviting organisations with a wider regional reach working with Smart Energy GB’s priority groups to apply for a large grant. These organisations should be not-for-profit, eg, charities, clubs, social enterprises, residents associations, and parish councils. - Raising awareness of smart meters and understanding their key benefits. - Increasing interest in getting a smart meter installed. - Motivating people to use their smart meter. - Educating people on how to get the most benefit from using their smart meter. - District heating customers (district heating is a system where a communal source of heat is shared with other properties). - Lack of proficiency in English (or Welsh in Wales). - Lacking basic digital skills. - No personal internet access. - Severe or profound deafness. The funding can be used for the full costs needed to run the project, for example a proportion of staff salaries, room hire, equipment hire, transport costs, publicity materials, volunteer expenses, costs to support the grant monitoring requirements and other appropriate overheads. This year's grant must be used by 31 December 2016. Large Grant Expressions of Interest will be accepted until 10 July 2016.
nfp Synergy have produced a guide to fundirasising for small organisations. Click here to get a copy of the report. It's not too late to get your nominations in for the Powys Volunteer of the Year 2016. The deadline has been extended to the 17th June 2016. Small charities ‘too afraid’ to ask for core costs, says major funder: Small charities risk a crisis because they are too afraid to apply for core costs, the director of funder the Garfield Weston Foundation said today. o To further other general charitable purposes. Grant Awards are not made to individuals. PLEASE NOTE: the Company does not maintain a website. Further information is, however, available on the Charity Commission website. Looking to raise new sources of income? How to create compelling direct mail fundraising: Direct mail remains a powerful tool for charity fundraising, says Sara Trumpp - but it's important to do it right. The Ministry of Defence (MOD) have launched the final funding round of their Education Support Fund. The £6 million MOD Education Support Fund (ESF) will support schools in the UK to help mitigate the effects of significant mobility and/or deployment of their service communities. Schools are a critical part of supporting service families. Children may have to change school when a service parent is posted or the school may support a pupil when a parent is absent for long periods of time. This fund is available to support schools in embedding practices that can benefit the service children and their school. As this is the final year of the fund, bids that show long-term impact and exchange of knowledge between school staff and between schools will be particularly welcome. Local authorities on behalf of the publicly funded schools in their area. £6 million per annum has been made available until 2017/18. The maximum amount of funding an applicant can request is not stipulated. The deadline for applications is 30 September 2016. The Money Advice Service has launched a new £7 million fund to support financial capability projects in the UK and is open to a range of organisations. The What Works Fund has been launched across the UK to help organisations pilot new approaches for improving financial capability and to evaluate their projects. It has been set up to provide financial support for projects which are focused on building evidence of the types of interventions that can make a measurable difference to people’s financial capability. Stream A will fund and evaluate projects seeking to help answer the ‘What Works questions’. Stream B will fund pilot activity focused on capacity building and sharing of best practice amongst financial capability practitioners. Up to £7 million is being made available for 2016/17. Of this £600,000 is committed to Stream B, which will open for applications in July 2016. Grants to evaluate an existing intervention are estimated to be between 10–20% of the intervention’s delivery costs, although this is strictly a guide figure and the cost may be more or less. Grants to expand the scope of an existing intervention to reach a new audience and evaluate its impact could be between £50,000 and £1 million depending on scope and target group. Grants that would develop and test new pilot interventions for a specific audience could be up to £250,000. Effective, learning-focused evaluation is central to this grant programme. As such MAS does not expect to award grants under £5,000. Applications for Stream A will be considered from any organisation in the UK that delivers financial capability interventions, or which may wish to do so in the future. This includes charities and other third sector bodies including trusts; commercial organisations (but not for projects that result in any commercial advantage or profit); social enterprises; local authorities; housing associations; and education bodies. Applicants are encouraged to put in joint bids in partnership with other providers or other organisations. Projects must be delivered by the end of February 2018, although the preference is for projects that can deliver robust evidence of their impact within the 2016/17 financial year. The deadline for Expression of Interest for Stream A funding is 8 July 2016 (12 noon). The Will Charitable Trust is currently accepting applications from charities seeking funding for the care of and services for people suffering from cancer in the UK. The Will Charitable Trust provides support within the following categories: care of and services for blind people; long-term care of people with learning disabilities; and care of and services for people suffering from cancer. Grants are currently available for the care of and services for people suffering from cancer, and their families. UK registered or exempt charities are eligible to apply. Applicants must be based mainly within the UK, although some work abroad may be permitted. Applicant organisations must have proven track records of successful work in their field of operation or, in the case of newer charities, convincing evidence of ability. Grants vary in amount, but generally fall within the range of £5,000 to £20,000. The deadline for applications is 31 August 2016. The Kathleen Hannay Memorial Charity provides grants between the range of £15,000 to £25,000 to registered charities throughout the UK for a wide variety of UK and worldwide causes. Applicants must be UK registered charities. Grant awards can be made on a one-off or recurring basis. PLEASE NOTE: funding is not available for individuals. During the financial year ending 5 April 2015 the Charity made donations totalling £357,500 to 29 registered charities (2014: £358,500 to 33 registered charities). o London and Kent-based charity, St Christopher's Hospice(£15,000). The Charity does not maintain a website or provide an email address. Further information can be obtained, however, from the Charity Commission website.